Oscar isn't a great baseball player; in fact, his coach hardly ever plays him. That doesn't stop Oscar from being upbeat and trying to help his teammate on the East Mt. Etna Wildcats.When he accidentally causes the team's star player, Lourdes, to dislocate her toe, the coach has to put Oscar into the game. Fortunately (or unfortunately! ), Oscar's neighbor, 90 something Eleanor Ethel Ellington, has given him an odd watch. When the ball comes toward the plate, Oscar presses a button on the watch and stops time for 19 seconds. He wins the game and is hailed as a hero, but that's when his problems start. The powers that be want the watch back, since stopping the world for 19 seconds causes all manner of bad things to happen. In dealing with the people who want the watch back, Oscar manages to find out a little about the watch's history, and in dealing with Ms. Ellington, he finds out more about her history, the history of the town, and her involvement with baseball. 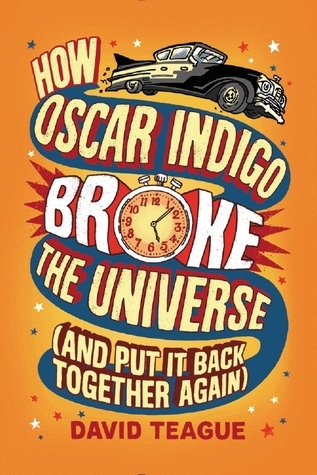 With the help of Lourdes, Oscar manages to keep the watch out of the wrong hands, improve his baseball game, and fix the universe. Strengths: I absolutely adored Eleanor and Lourdes, and their involvement with baseball, as well as their extreme dislike of being told "You play well... for a girl", made me love them even more. I also appreciated that Oscar didn't question for a second that they would be great players. The world building surrounding the watch and its effect on the universe is solid, and even the somewhat goofy agents who come looking for Oscar aren't too over-the-top. Lots of specifics about baseball, as well. Weaknesses: My readers who want baseball books don't want them mixed up with fantasy, unless the characters are traveling back in time to meet a historic ball player (think Gutman's Baseball Card Adventures or Corriveau's 13 Hangmen). This also had a goofiness that put it perilously close to the elementary side of the Pilkey Line. What I really thought: This definitely kept me reading and had some facets that I really enjoyed, but I think this would not be popular with my readers. Elementary collections with fantasy fans or students interested in baseball should definitely take a look. Stanley Darrow's family has struggled in the six months since his father passed away, especially since he was a stay-at-home father. Stanley misses their bike rides and ice cream, and his mother has had to do her architectural designs from home, where chaos is increasing. 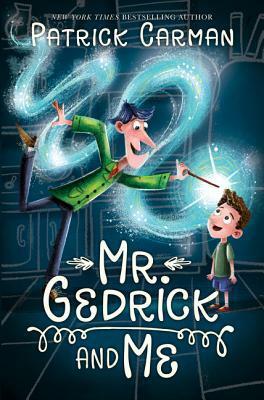 Enter Mr. Gedrick, a Mary Poppins' type manny, who pops in to bring order and hope to the Darrow's world while helping the family process their grief. Strengths: Short, well-written, pleasant in a bibliotherapy kind of way. It's as if Mrs. Piggle-Wiggle had to move in with one of her neighbors because the father had died, and she makes them able to get through their days. Like Nanny and the Professor, but with power tools. Weaknesses: I think I've had my quota of "dead parent" books for the month, although this had a better mix of sadness and coping than many other books. I've just lost patience. What I really think: Maybe for elementary schools, but I'm waiting for Carman to come out with another book that's as riveting as 13 Days to Midnight, which my students LOVE.